Bite Into the best froyo in milwaukee! Charge up with our Superfruit Acai & Dragonfruit (Pitaya) Bowls! 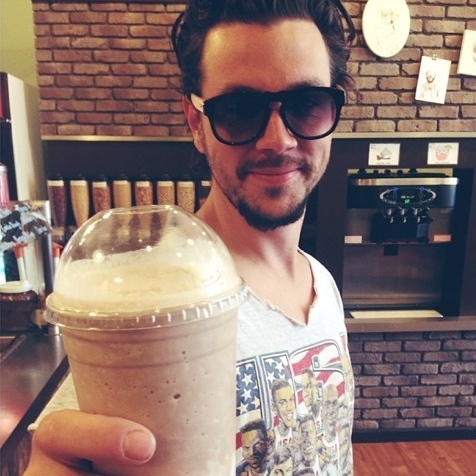 Make yourself happy with our Smoothies, Shakes & Froyocinnos! 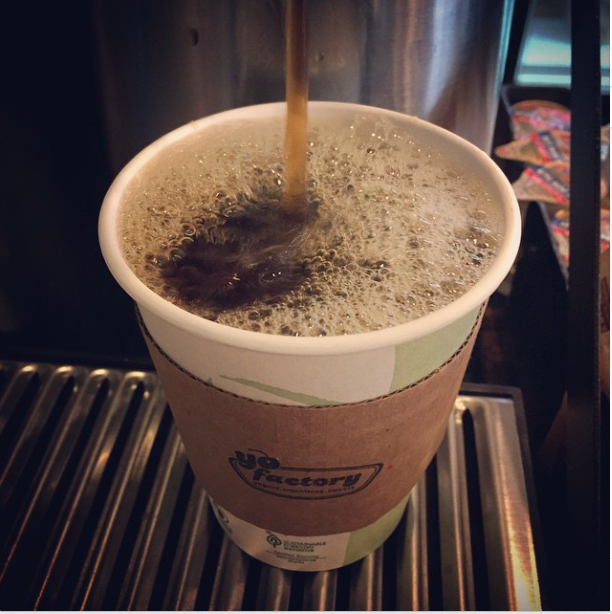 Wake Up with our Coffee, Hot Chocolate & Tea! Our self- serve frozen yogurt is made with the highest quality ingredients; which ensures a smooth and creamy taste, with little to no fat. Using live and active yogurt cultures, compliant with the National Yogurt Association: Live and Active Culture (LAC) program, not only is our frozen yogurt extremely delicious, it’s incredibly healthy too! We are constantly swirling new and seasonal flavors — so be sure to “Like” us on Facebook, where we post our flavors daily. 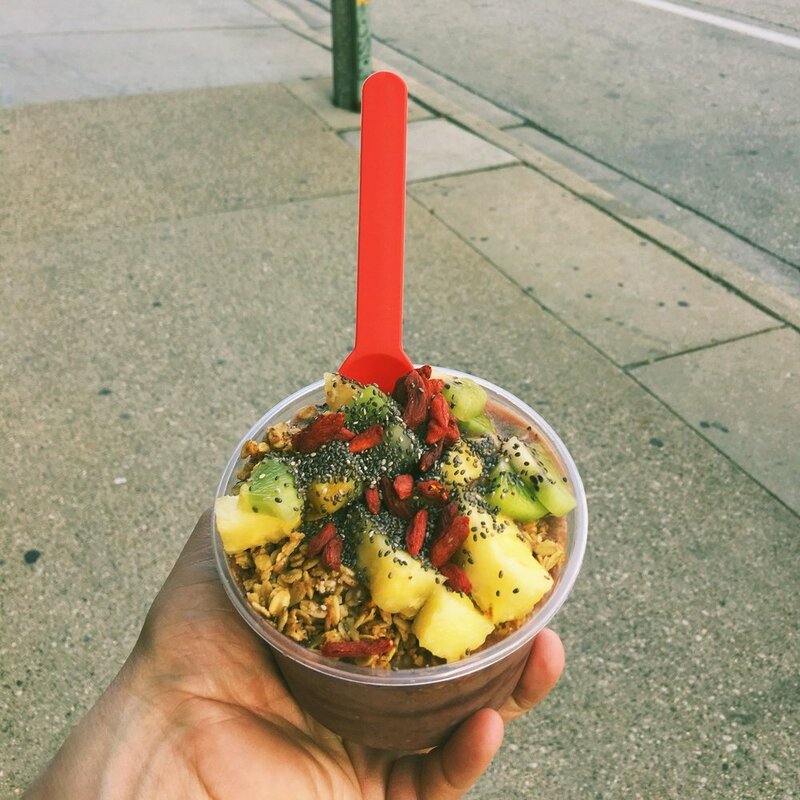 Acai & Dragonfruit bowls are now being made at Yo Factory on Milwaukee's East Side! With fun and healthy new toppings — like dried goji berries, chia seeds, and almond flakes — we can't wait for you to try one. Acai berries are loaded full of antioxidants, heart-healthy fats and fiber — they are even more antioxidant rich than cranberries, blueberries and strawberries! Simply made with 100 percent crushed whole fruit, our smoothies are naturally packed with antioxidants, vitamins and minerals — just one smoothie packs four servings of fruit. And if you’re looking for an extra “boost,” we offer supplemental whey and soy protein shots along with many additives —perfect for your post-workout smoothie. 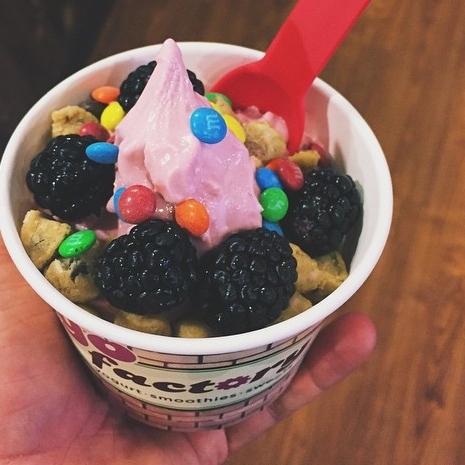 Creating your own Froyoccinos and Shakes at Yo Factory is a blast, but then again isn't everything with froyo? A Froyoccino is our signature & healthier frozen yogurt version of a Frappe, except you get to create it — simply add your favorite froyo flavors and toppings, and we'll blend it up with strong cold brew coffee. Don't forget to top it off with whipped cream and chocolate sauce! Yo Factory proudly brews Fiddleheads Coffee, who believes that a great cup of coffee requires an uncompromising commitment to four elements: the best beans, roasted to perfection, always fresh and brewed properly. Fiddleheads Coffee Roasters’ coffee is fair-trade certified. Try it iced or hot! Yo Factory’s signature hot chocolates are melted to order, meaning we actually use real chocolate! No pre-made powdered cocoa here! Real chocolate creates a smooth and velvety texture for a difference that you can taste! They're sure to warm you to the core! Don't forget that our selection of loose leaf organic tea is brewed fresh in every cup.